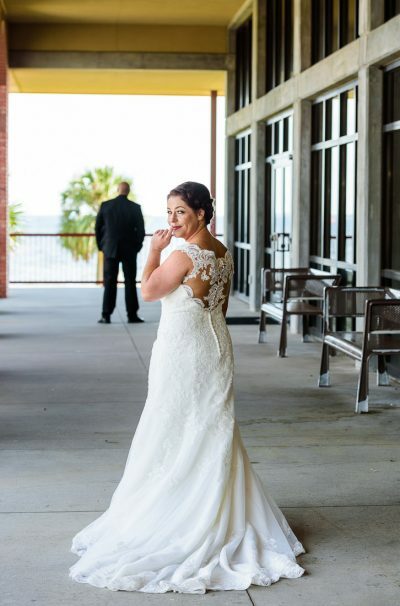 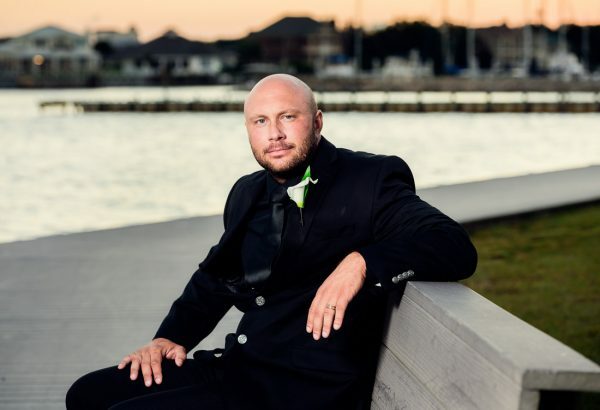 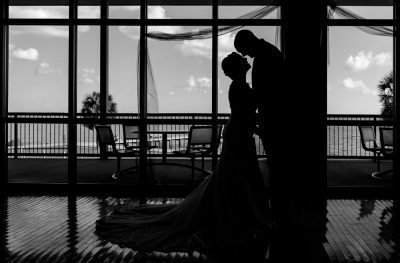 We loved photographing Ashley+Hill’s Pensacola Waterfront Wedding. 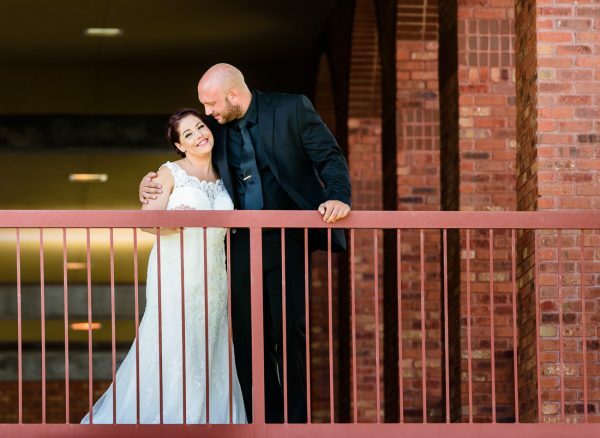 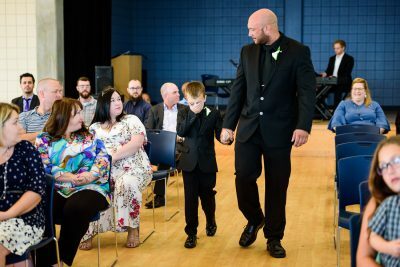 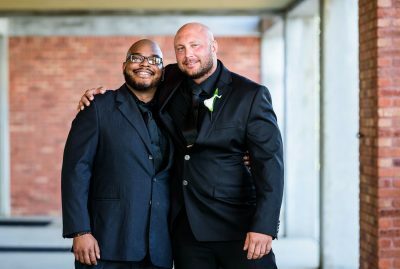 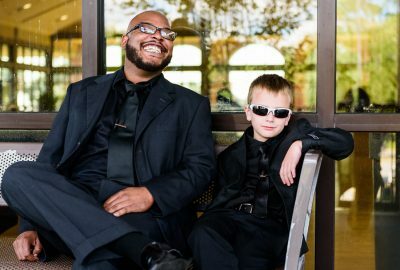 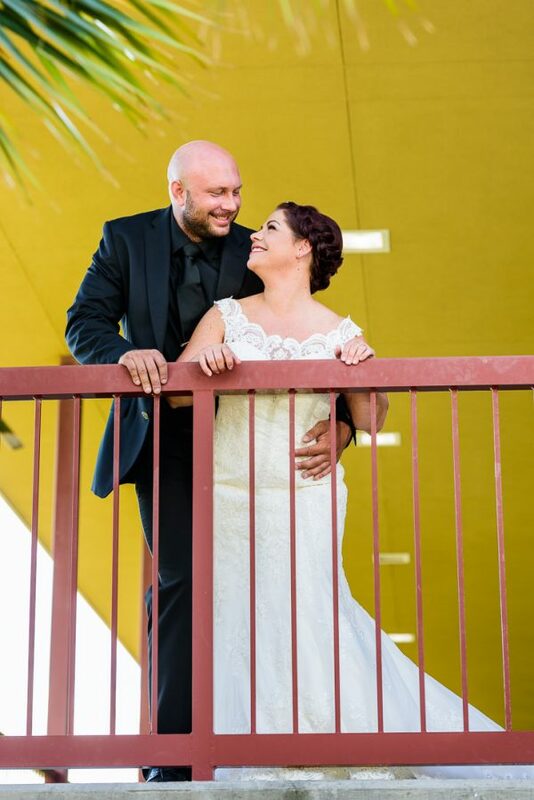 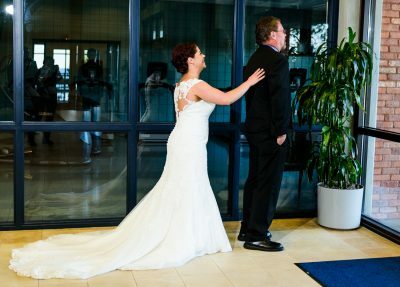 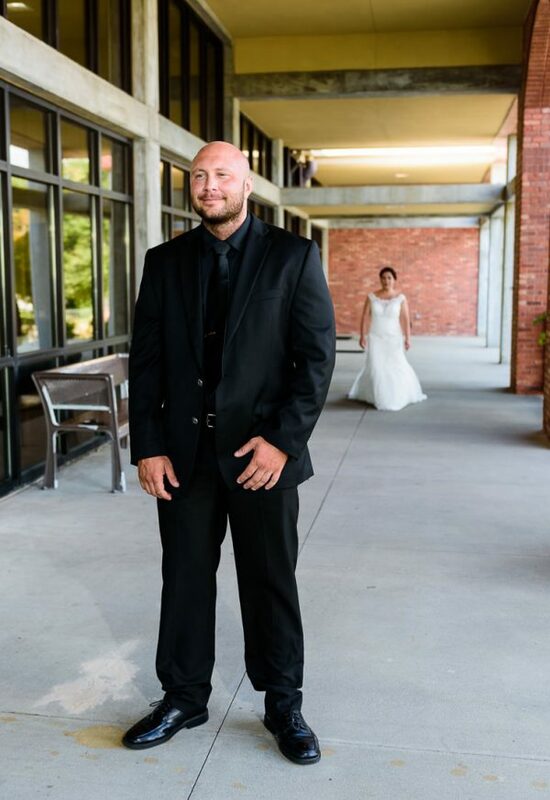 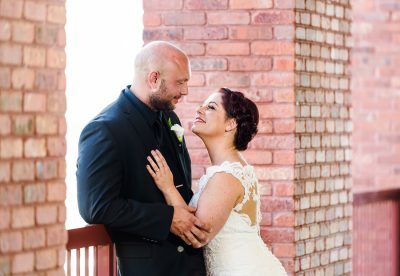 Here is their story and a few highlights from their Big Day. 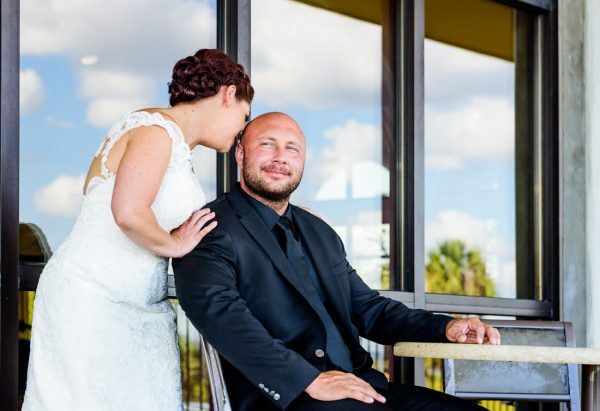 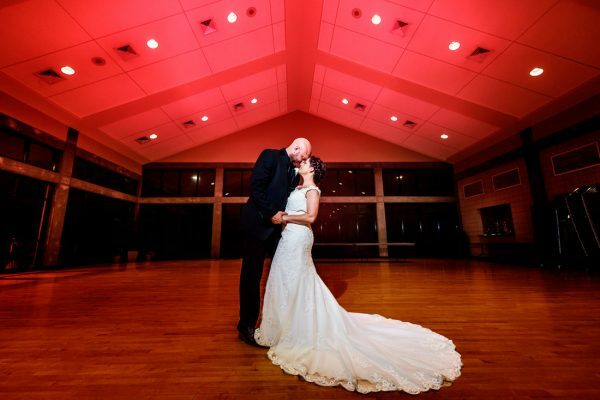 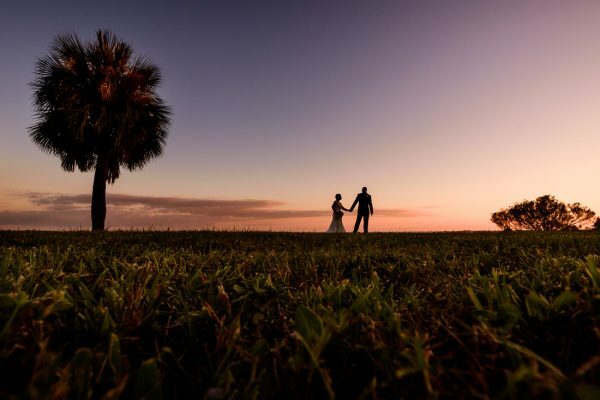 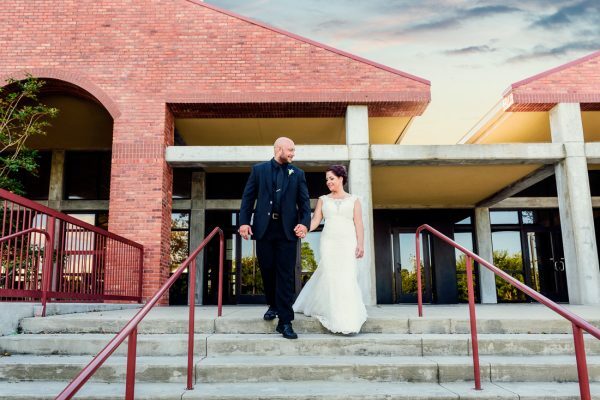 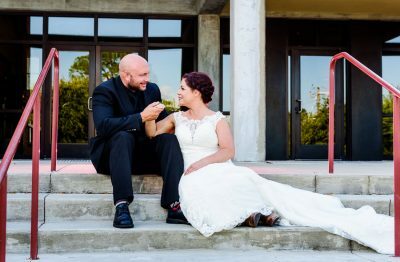 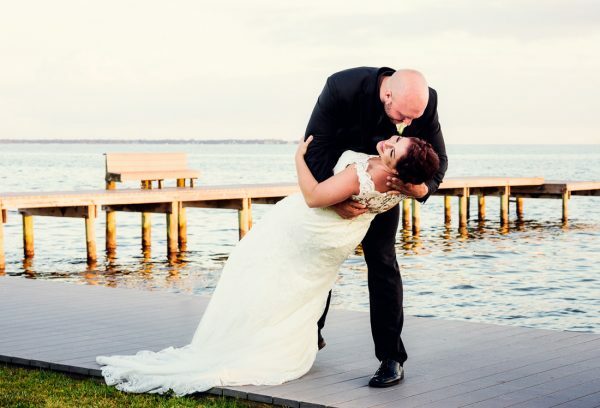 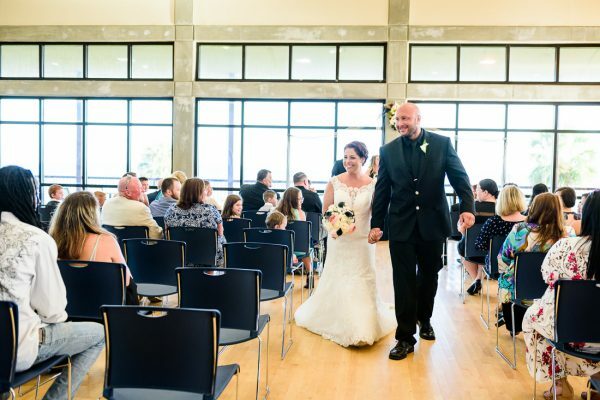 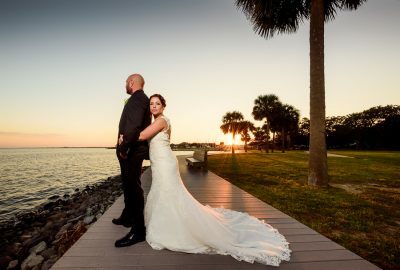 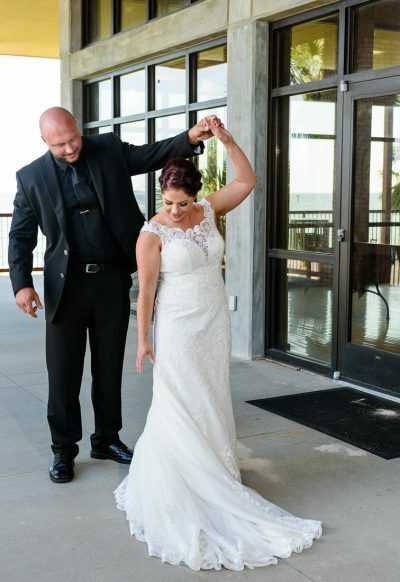 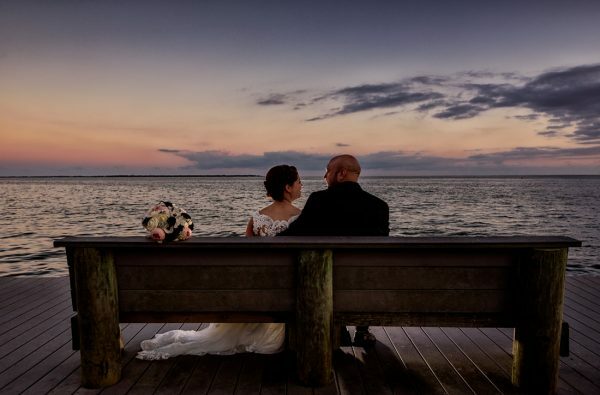 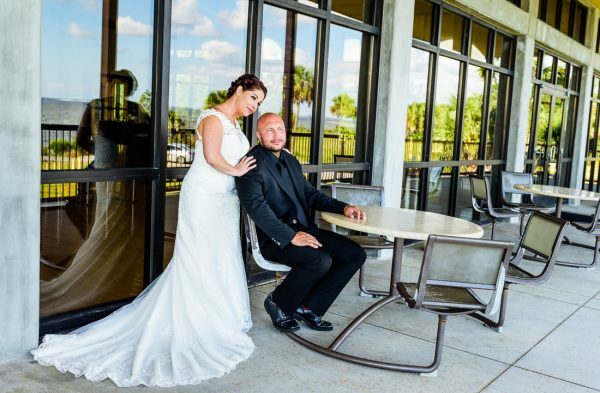 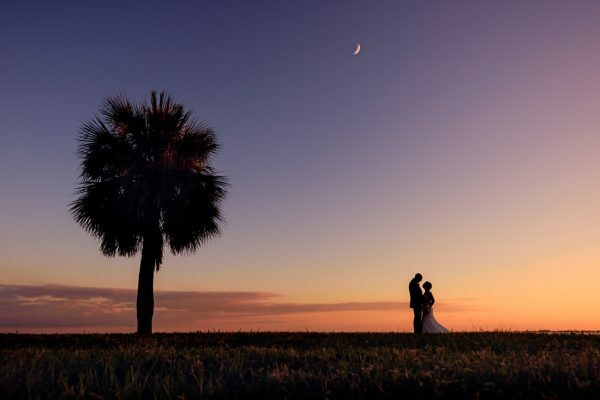 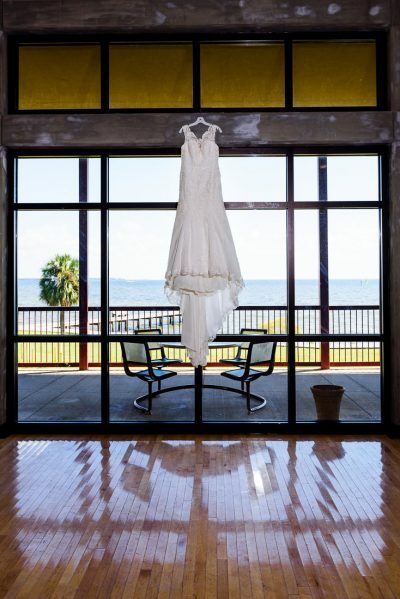 For their wedding venue, Ashley+Hill chose Sanders Beach-Corinne Jones Resource Center. 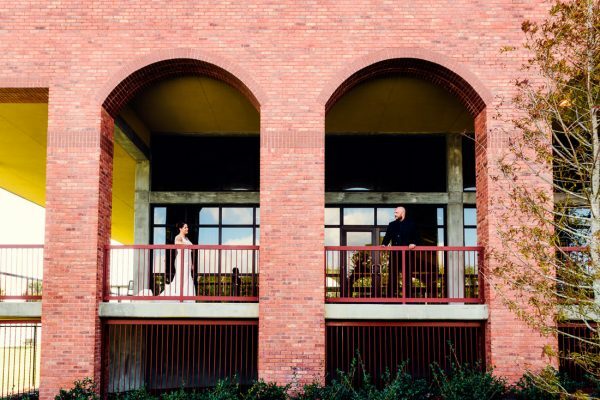 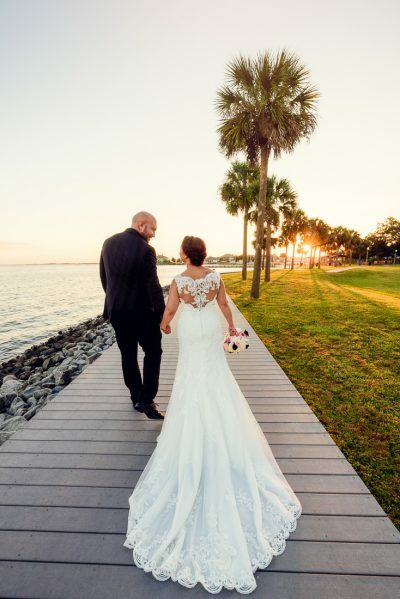 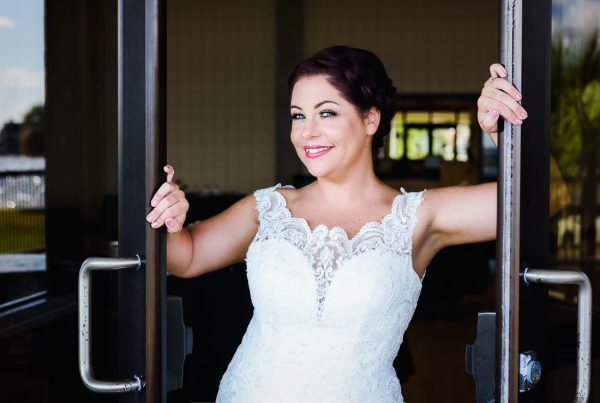 The couple loved the venue’s architectural interior and exterior design with arches along with a convenient waterfront location with a pier. The surrounding area was away from hustle and bustle of the downtown area and was quiet, just how the couple wanted. 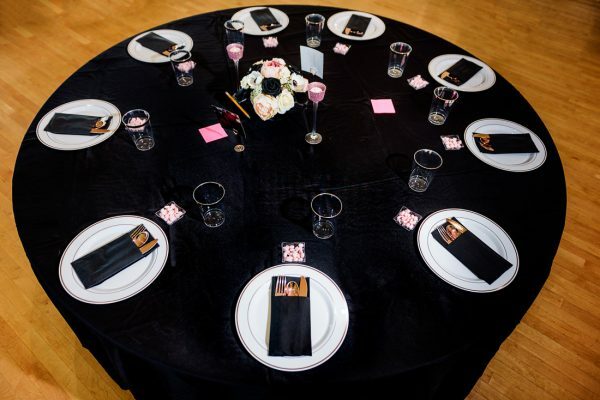 The wedding colors were black and rose gold and the wedding decorations were beautifully done by the bride’s mom. 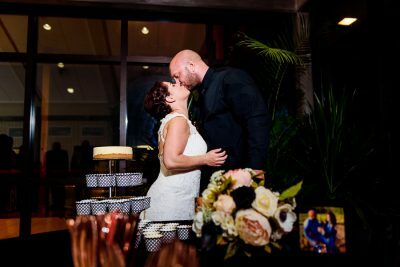 Bridal hair and make-up by talented Cassandra Parker, wedding cheesecake and cupcakes were by Chrisoula’s Cheesecake Shoppe, but the best part was the live music! 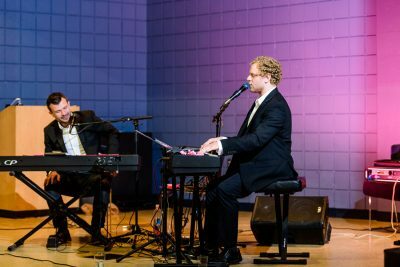 Not just any regular live music, but famous dueling pianists from Seville Quarter’s Rosie O’Grady’s Duelling Piano show. 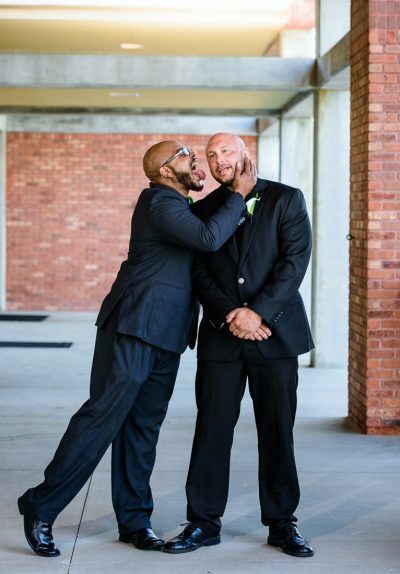 One of them was even the groom’s Best Man. 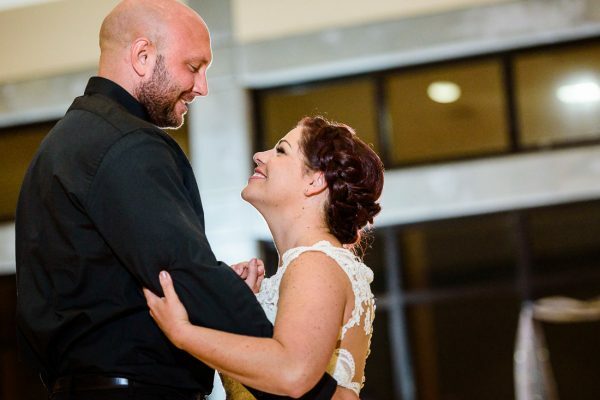 Not every couple gets to have such awesome friends that are not only talented musicians and entertainers but who also offered to perform at their wedding. 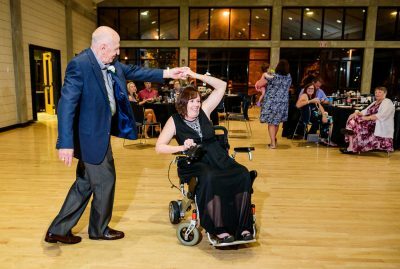 Every guest, young and old, danced tirelessly throughout the whole night. There were toasts, mingling, and everyone enjoying the wedding. 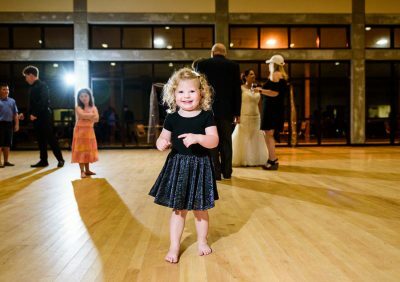 One of the most tear-jerking parts at the reception was during father-daughter dance. Ashley’s dad came onto the dance floor and started signing with his hands the lyrics of the song. 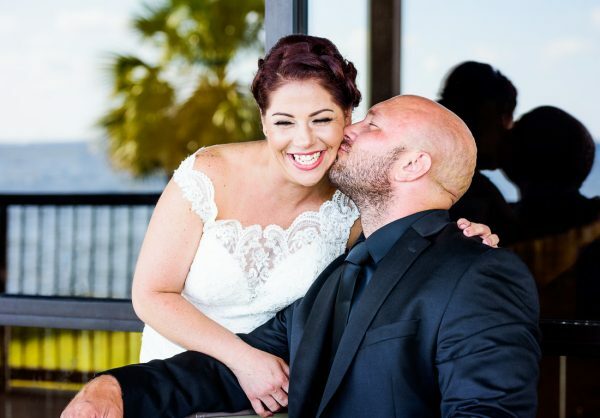 Sign language has a big meaning for Ashley’s family and we were so humbled to witness and capture such intimate and personal family time. 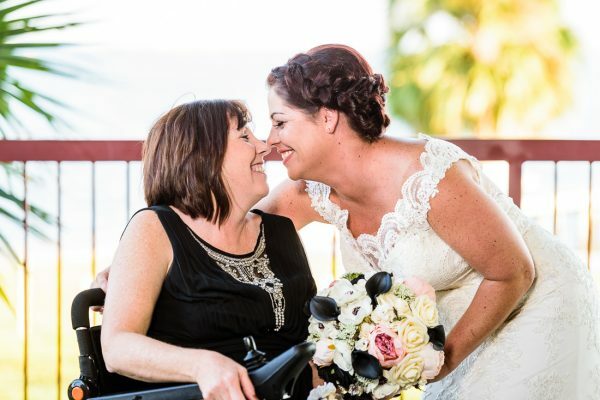 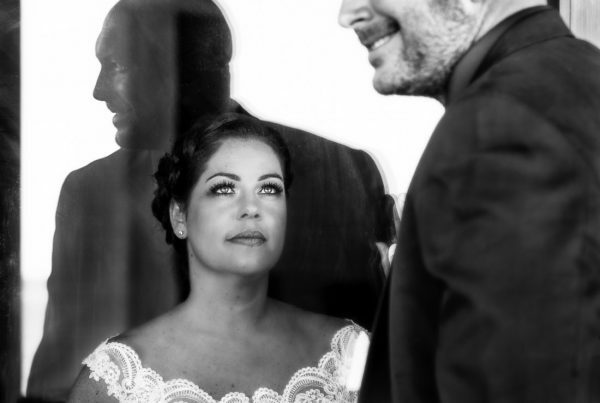 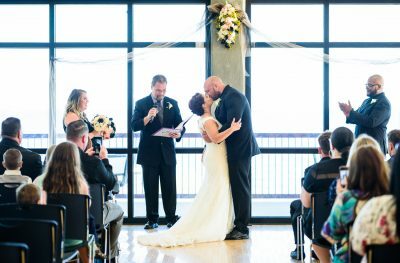 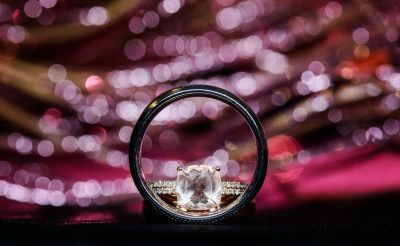 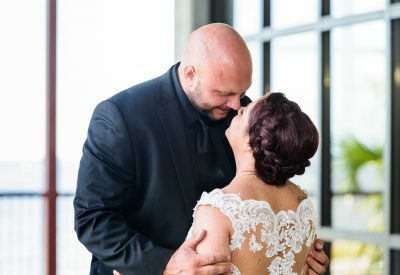 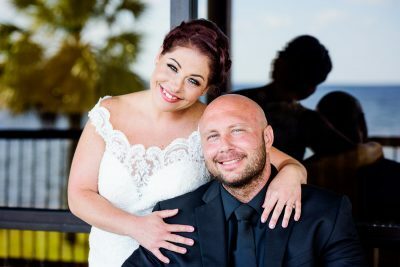 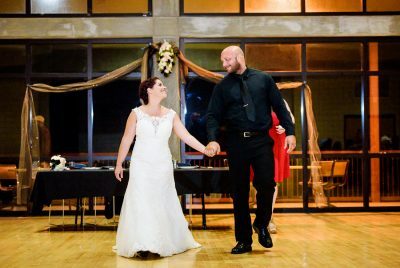 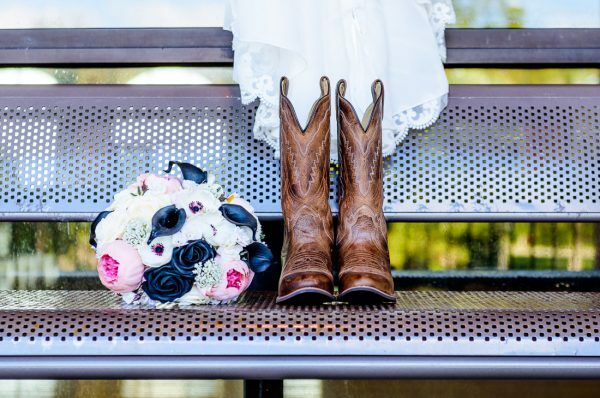 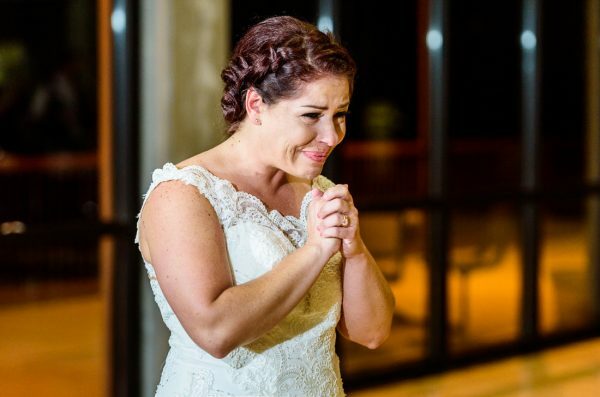 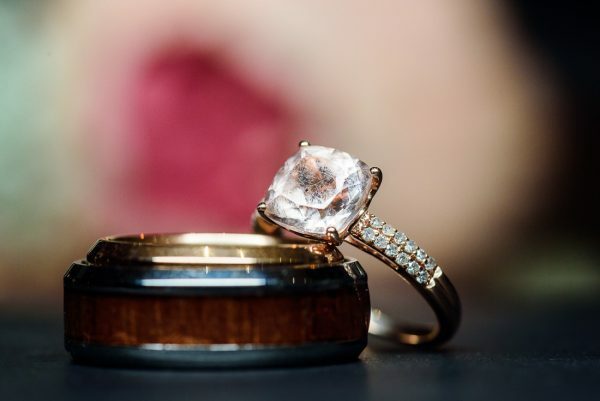 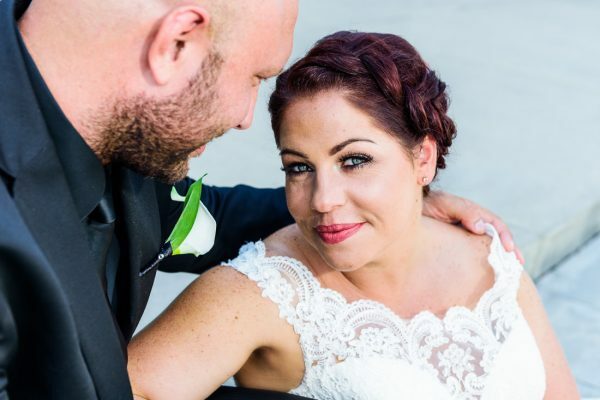 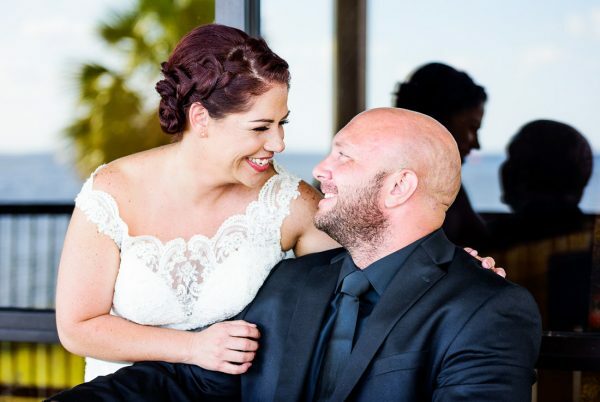 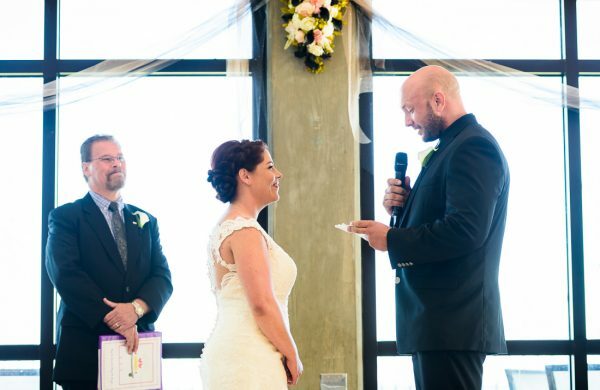 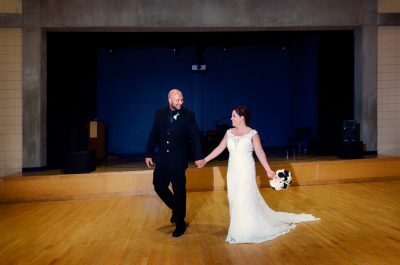 Usually, there are many times when we get teary eyes at our weddings, and most of them are during the ceremonial vows or when the bride and groom see each other for the first time. 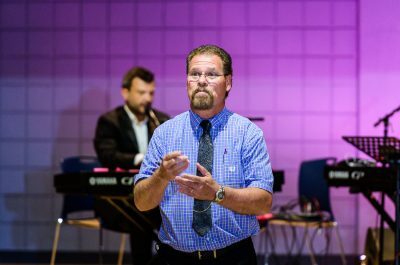 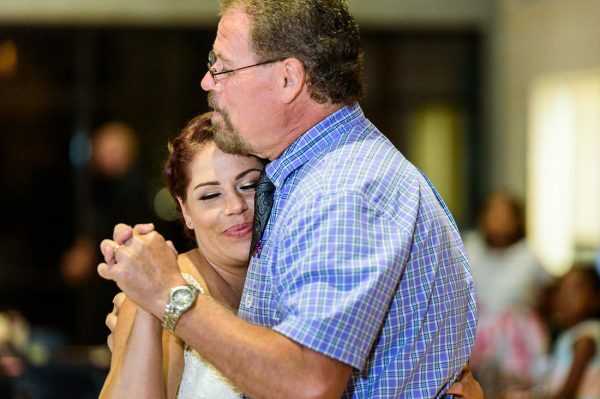 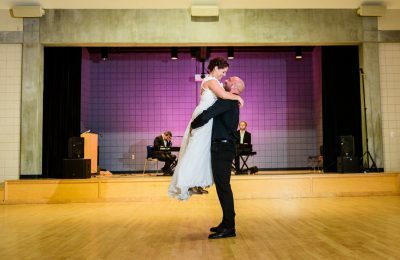 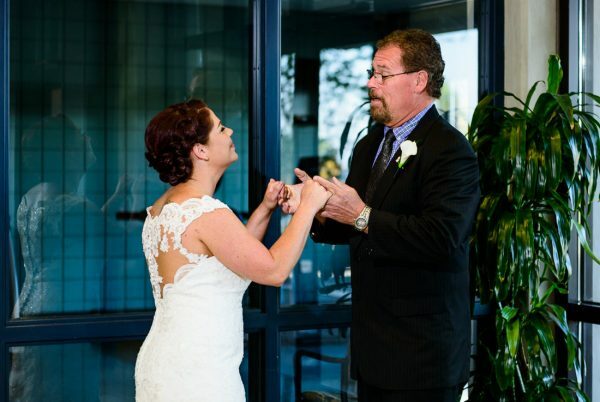 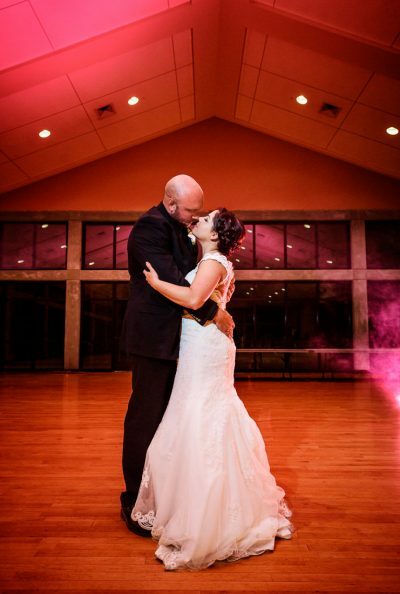 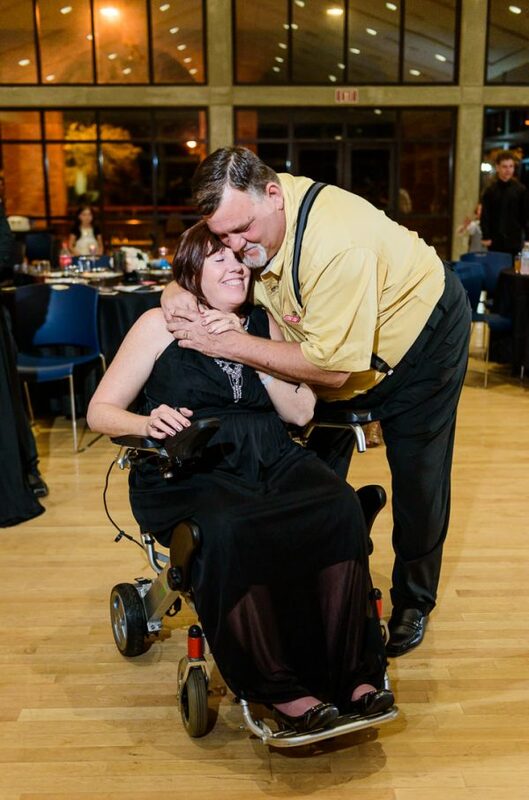 But during this father-daughter dance, we just couldn’t hold tears back. At the end of the wedding, we even got a chance to take a few closing images of Ashley+Hill, now Mr. & Mrs. Driggers. 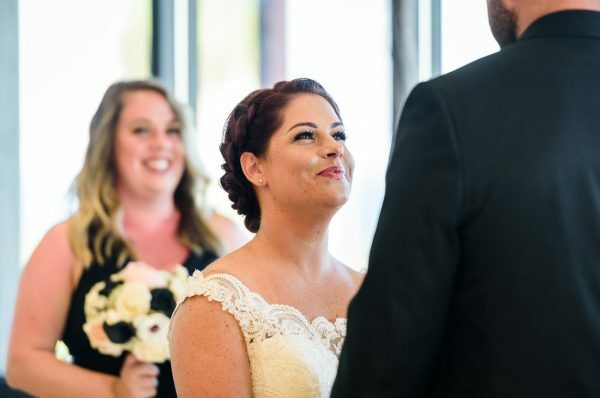 All in all, this was a beautiful wedding, one that Ashley+Hill, their families and friends will remember for a long time. Congratulations to Mr. & Mrs. Driggers! 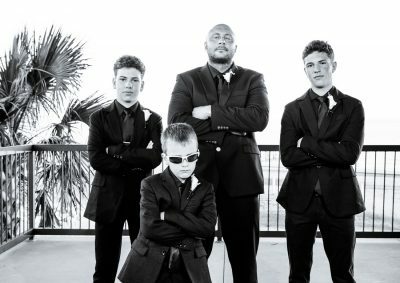 May your marriage be filled with only love, happiness and unforgettable memories with all of your boys! 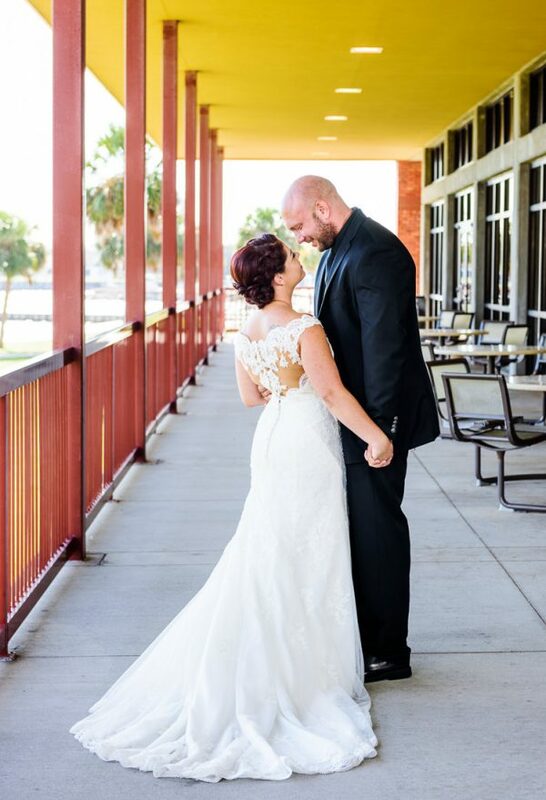 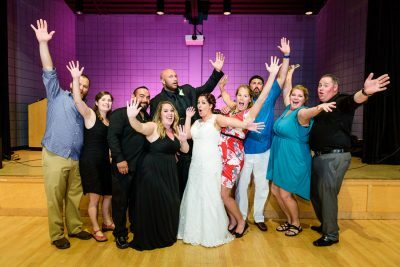 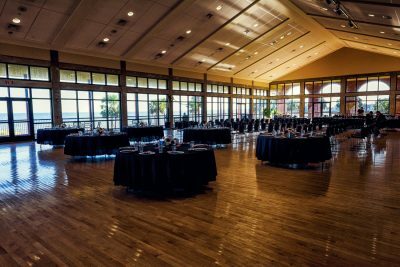 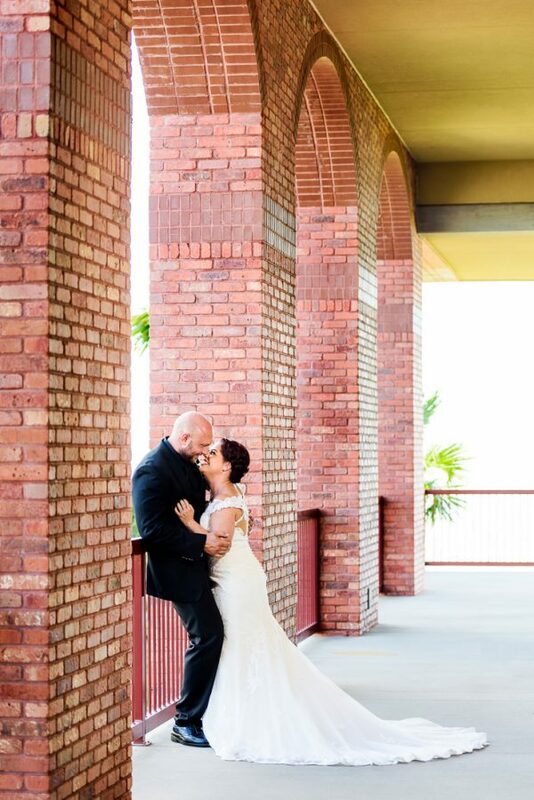 We also want to thank all of the Pensacola wedding vendors that made this perfect wedding possible! We also want to Thank all of the Vendors that made this perfect wedding possible!